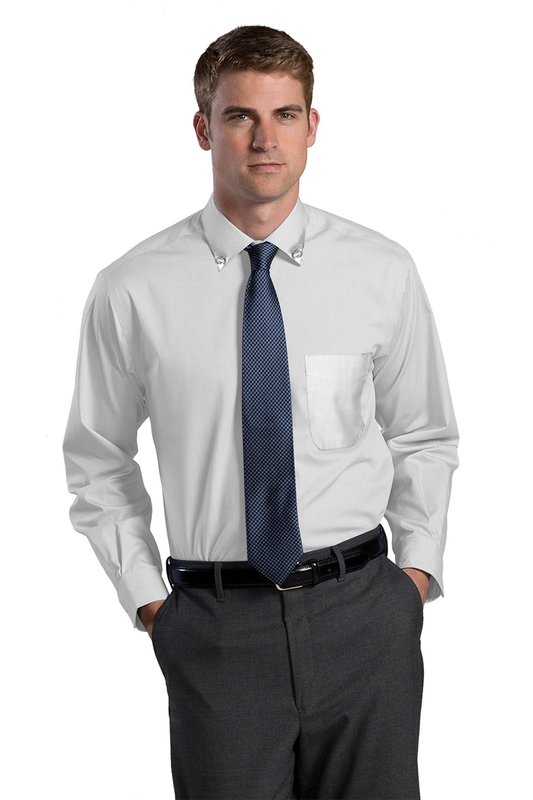 Great price point on this No-iron shirt, well below Brooks Brothers $75 No-iron shirts. 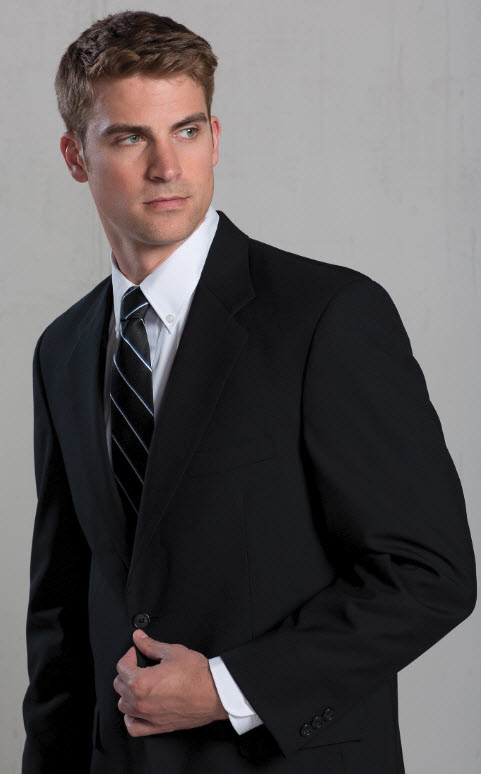 You even have a choice of more formal with button down/pocket collar, or more casual with point collar/no pocket. 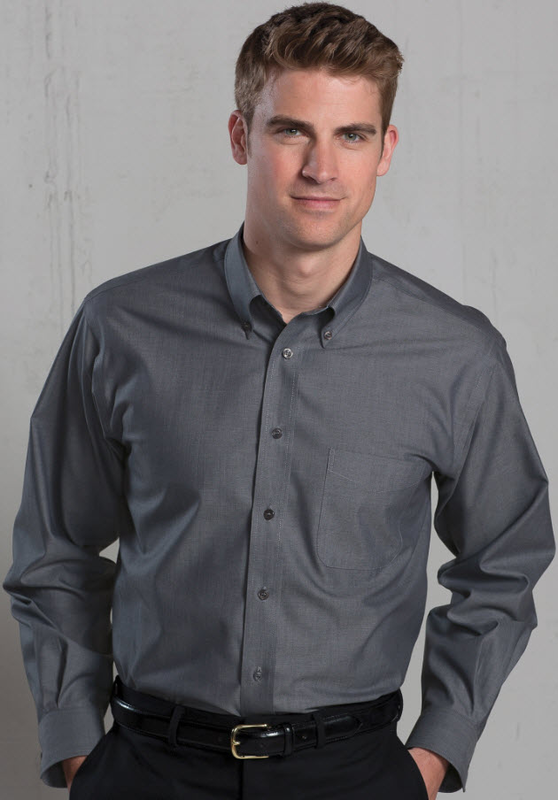 This quality economy men’s no-iron server shirt features taped seams and single needle tailoring, as well as a two button adjustable cuff and a point collar shirt with sewn-in stays. This sleek shirt is available in both button down or point collar options. Button down collar shirt has a left chest pocket, the point collar shirt does NOT have left chest pocket. 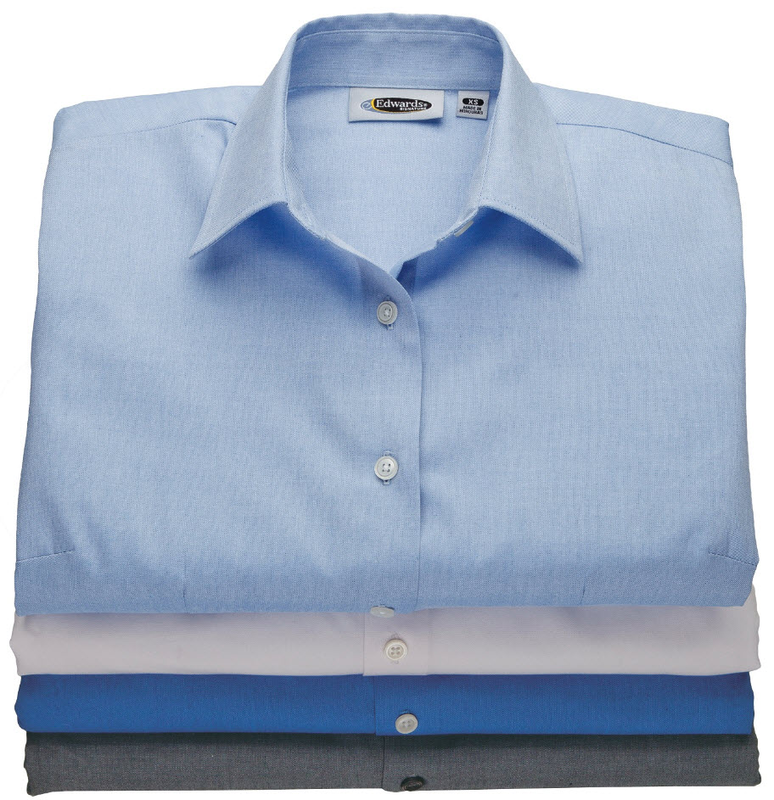 The wrinkle-free fabric is made from a 60/40 poly/cotton blend. Taped seam construction lets you go right from the dryer to dressed in just seconds. 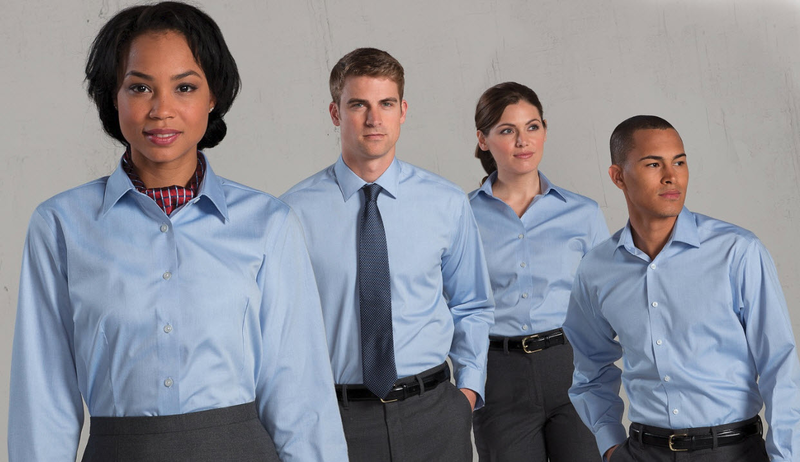 Your staff will be looking their best in either blue, white, French blue, or steel grey color options.